Love this! 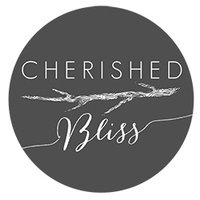 Nice work Cherished Bliss! Very nice! Looks very similar to my DIY drink holder that I made for Ryobi Nation, too! :) Great minds think alike!! This is adorable! Good job! I wanted to say, I made three of these as christmas gifts this year for my family members who have celiac disease and as such cannot have any gluten. Because of this they often bring desserts for themselves and to share to events, quite often cupcakes. I did add another dado about 1.5" below the top rack for cupcakes to slide in a false bottom. Then you can remove the two cup cake racks and it functions as a pie safe as well! I tried to check out the lock and hinge installation kits but when I click on them, it goes to Error 404. Since this is my first time at your Ryobi site, I am not too impressed. This is so beautiful! Love this! Functional AND beautiful! I love it. Love the contrast between the white painted "drawers" and the stained wood surround, one of my favorite combos! I had trouble attaching the loose side of the shelf dividers in step 4.